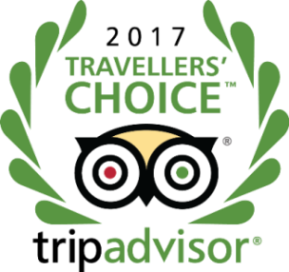 Situated on a magnificent beach, close to the International Monastir Airport, the Royal Thalassa Monastir*****, flagship of the Tunisian Hotel Group Thalassa Hotels, asserts itself as one of the finest five stars hotel in the region. Ideally situated between Monastir, city known for its Ribat and Medina, and the city of Sousse, famous for its night life and cultural curiosities, the Royal Thalassa Monastir***** offers its guests besides the sea and beach pleasures, a rare and refined atmosphere. In the middle of a luxuriant vegetation, the Royal Thalassa Monastir*****, close to three golf courses, is also the palace of the well-being thanks to the Royal Elyssa Thalasso & Spa with which the hotel is directly linked : considered as one of the most exclusive spa and thalasso centers in the world, the Royal Elyssa is combining well-being, fitness and beauty because of the addition of three famous French brands : Thalion,L'Usine and Eric Zemmour. Also dedicated to Corporate needs, The Royal Thalassa Monastir***** offers different spaces and areas for the organization of conventions and prestige events. 260 rooms (of which 7 suites), large and wide open to the Mediterranean Sea offer a five stars comfort to its guests, including free wifi. Within the Royal Elyssa Thalasso & Spa, a VIP Suites Spa area welcomes in its 20 suites (including a 300 m² Presidential Suite with its own private pool) a privileged clientele around a private pool and suspended gardens overlooking the Mediterranean Sea.